Today, the deputy Prime Minister for European Integration, Iurie Leanca and the Minister of Economy and Infrastructure, Chiril Gaburici, at the meeting of the poultry sector operators, during which the requirements and the implementation process of the roadmap export of poultry meat and eggs to the European Union. 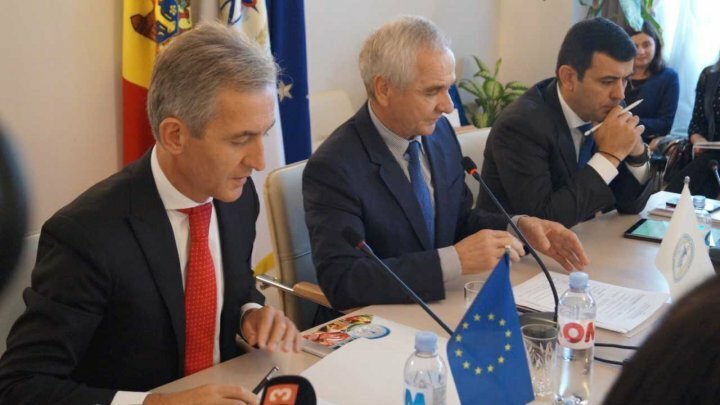 Deputy Prime Minister Iurie Leanca welcomed the initiative of the National Agency for Food Safety to organize an event bringing together representatives of national institutions and producers, exporters of meat and poultry eggs to identify viable solutions to the existing problems in the field. "The export of animal products to the EU market is a long process. I think we could have gone much further in this area, and since 2014 the situation has not changed significantly. Although we have all the support of the European partners, this year we are really approaching the criteria set by the European Union to obtain the right to export poultry products", Iurie Leanca said. At the same time, the Deputy Prime Minister urged Moldovan producers to invest in the quality of products because the internal market of the European Union is a fierce competition on this segment. "Applying European standards for obtaining the export right will increase the quality of Moldovan products, create new jobs and increase the economy of the country." The major benefit is that our citizens will gain first and this is why, together with our colleagues in the Government , we will try to find solutions to support with state funds and subsidies the Moldovan enterprises for adapting the capacities to the European standards", said the Deputy Prime Minister. In the context of the visit to the invitation of EU Trade Commissioner Cecilia Malmström to be held in Brussels on Thursday, September 20, the Moldovan deputy prime minister assured he will address the issue of priority to the European official The Free Trade Area and the European Union's support in this regard.